Minister of Science, Technology, Energy and Mining (STEM), Hon. 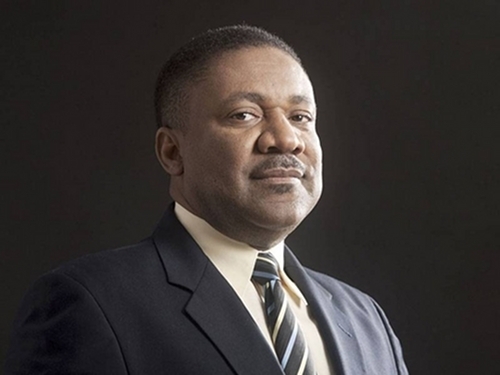 Phillip Paulwell, has reiterated the Government’s intention to continue the LNG project started under the previous administration. Under the project, LNG will be supplied to the government and construction of an LNG Floating Storage and Re-gasification Terminal will be undertaken. Addressing a recent energy forum put on by the American Chamber of Commerce, (AMCHAM), the Minister said the work of the Steering Committee would continue and that talks are being held with potential bidders who are now working to complete the process. Emphasising that every effort is being made to complete the project by 2014. Mr. Paulwell said the Government is committed to reducing the country’s energy cost and to pursue more renewable sources of energy. “We know that LNG is a relatively clean, environmentally friendly option that provides tremendous opportunity for efficiency improvement and cost reduction. In this regard, the government is committed to implementing the LNG project, and we are doing everything to ensure that the project is properly structured commercially, and that the appropriate policy and regulatory frameworks are in place,” he explained. The Minister pointed out that the LNG Steering Committee established under the previous administration remain intact, “except that we’ve only changed two members and will continue to do the work it started. “I’ve been advised that they approved a request from two of the infrastructure providers for a two-month extension of the bid deadline, in order to allow them to complete commercial arrangements,” he added. This delay, the Minister said, would not significantly disrupt plans to have LNG-powered plants operating in Jamaica by 2014. “We are making every effort to ensure that the timeline for completion of the new plants and the infrastructure are synchronized with the timeline for completion of the delivery of LNG,” he added.